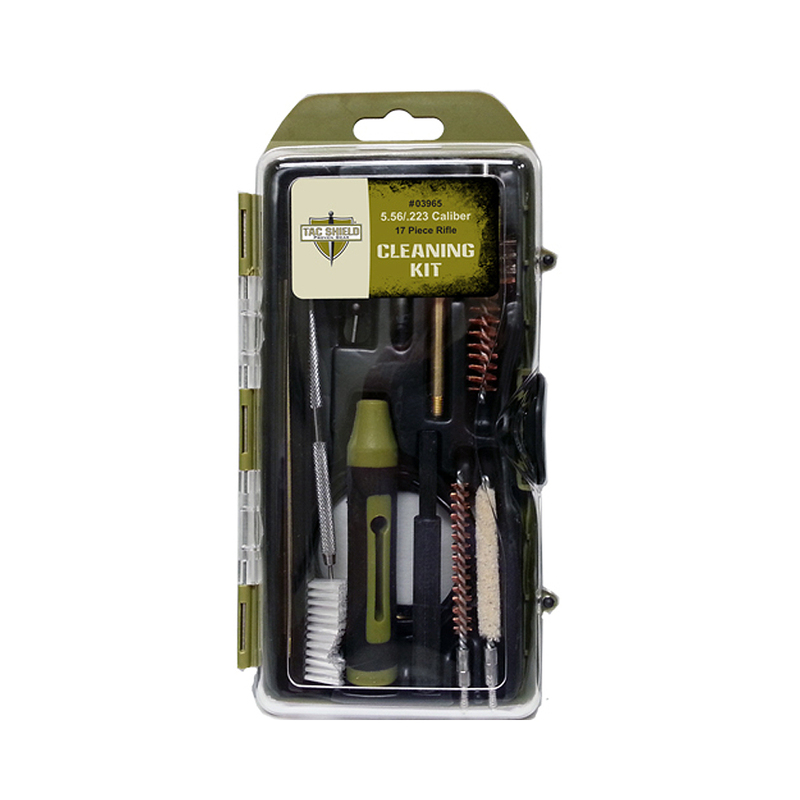 This custom cased cleaning kit is well designed for cleaning M16/AR15 rifles. The custom case fits well in a pack or range bag. It offers a pull through coated cable/rod system with rifle brush, rifle mop, slotted patch tip, double ended utility brush, double ended metal pick/scraper, 1/4" punch pin, 25 cleaning patches and six piece utility bit set. The convenient handle works with chamber rod, pull rod and utility bit set.